If the controls and movement in a traditional video game aren't natural, it's merely annoying to players. 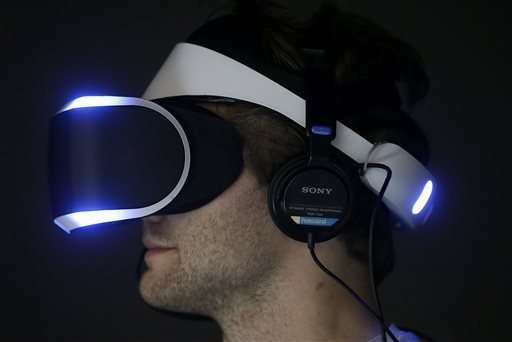 For designers of virtual reality experiences, the same mistake could make users sick. 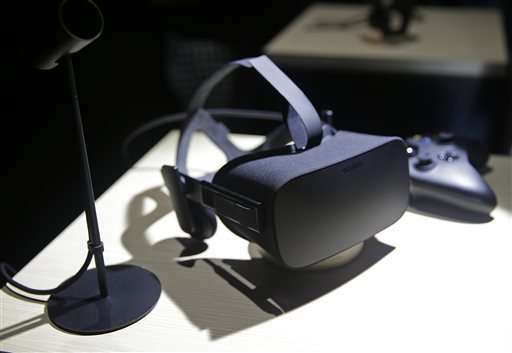 With the release of a trio of high-definition headsets on the horizon, many VR aficionados in attendance at this week's Game Developers Conference in San Francisco are confronting that issue head on. "The challenge is that people's sensitivity to motion and simulator sickness varies wildly," said Evan Suma, an assistant professor who studies VR at the University of Southern California, during a talk at the 30th annual gathering of game creators. It's a unique design challenge for game makers accustom to crafting interactive entertainment appearing on flat screens in front of gamers, not completely encasing them. Despite the advancements made in VR over the past four years, there's still concern the immersive technology may force players to lose more than a battle with an alien. They could also lose their lunch. "It's been a huge focus of development," said Hilmar Petursson, CEO of CCP Games, which is developing several VR games, including the sci-fi dogfighting simulator "EVE: Valkyrie." ''We want super comfort all the way." Petursson said the developers of "Valkyrie" opted to surround seated players with a virtual cockpit to ground and shelter them from the effects of appearing to whiz through space past asteroids, missiles and ships. 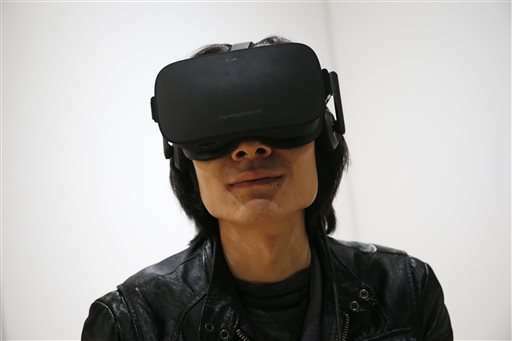 "If you have something for your brain to fixate on as the thing that matches similar inputs you're given when sitting in the real world, you're going to be feeling a lot better," said Palmer Luckey, co-founder of Oculus, which ignited the latest VR revolution in 2012. Oculus and Sony both posted health and safety warnings outside their booths on the GDC show floor, cautioning attendees trying the Rift and PlayStation VR that they may feel motion sickness, nausea, disorientation and blurred vision. Those effects were felt by many attendees. "After a morning's worth of different Rift games, I felt disorientated, a touch nauseous and distinctly headachey," wrote Keza MacDonald on the gaming site Kotaku. "After five hours, I felt like I needed a lie-down in a dark room." "We really need to look hard at the effects of long-term exposure to VR, the psychological effects and what we can say about the power of our VR experiences," said Voll, who has studied computer and cognitive science. With hype for VR at an all-time high and pre-orders for the Rift and HTC Vive sold out, it's no longer a question of if consumers will want to experience VR. They do. It's now becoming a matter of how long it's safe to keep it on their noggins. Would two hours in VR be too much? "With the current technology, it's iffy," said Luckey. "It's all technologically solvable. It's not like we're saying, 'Oh no. We can't get any better. This is a dead end.' We have tons of ways to make this higher resolution, lighter weight and more comfortable. Eventually, the goal is to make something that's not much heavier than a pair of sunglasses." For many who've tried VR, it's not an issue at all. Hidden Path Entertainment founder Jeff Pobst said he recently spent 15 hours wearing the Rift headset while playing the VR version of his strategy game, "Defense Grid 2." "I was happy," said Pobst. "I even did it with glasses on and didn't take the headset off to put in my contacts. It all depends on the person and the experience. When there's not a lot of movement and the controls aren't tiring, I think you can be in VR indefinitely." The issue issue that one is completely relearning eye parameters... tied to balance, vestibular canals, and all that as connected to muscle function. All as a set. Re-learning a secondary path, at the deepest levels that the body has. Each game and each headset is encoded/built differently. Thus we have not just one problem, but many problems, across platforms and across software. The issue is not eye parameters (whatever that means). The main issue is indeed just one problem: sensory mismatch between visual and vestibular system. Eyes are telling you that you are moving, while inner ear registers no acceleration. This is not something that could be solved with better VR headsets, unless those headsets include things like galvanic vestibular stimulation (not going to happen anytime soon).